IT services in Houston can be instrumental in both helping you to avoid getting scammed by common cons that exist on the net like viruses in the real world, and helping you to recover if such a scam has grabbed you by the throat and stilted operations. You may be surprised that people would be gullible enough to fall for something like this that is “too good to be true”; but variations of this scam are numerous, and regularly reel in unsuspecting Internet users. This scam is a lot more difficult to notice and may be a reason you initially end up seeking out IT services in Houston, because this one’s quite effective. Basically, you’ll either get an e-mail from someone you know, or from a name you recognize but an e-mail you don’t. Unlike other scams, this one is sometimes personalized to such a degree it doesn’t seem to be either foreign, or “spammed” out en masse. Certainly, such scams are regularly spammed out, but cyber-criminals get increasingly savvy as old modes of success become less tenable. Basically, there’s an attachment with a legitimate story drawing you into opening it. Maybe you’re in music or writing. Someone says: “I love the story you submitted; I’ve left my notes in the attachment.” You open the attachment, and whamo— suddenly your files are held for ransom and your business grinds to a halt as you either pay the fee or must utterly reconfigure your systems. This scam can be terribly egregious or simple enough to resolve. A lot of times, the scammer just wants to use your account as some underhanded means of advertising. Social media is commonly the culprit “phished” here. It works like this: you’ll get a message or a Facebook wall post that says: “I can’t believe what you did in this picture!” And then there’s a link. They may reference a video, too. You click the link, and nothing seems to happen— except, your information has been phished. This scam can backhand you from an e-mail, too. Basically, don’t click on spurious links. Sometimes they’ll come from an e-mail that is a combination of several other e-mails in your inbox. The right kind of IT protection protocols can filter these out. Think of the right company providing IT services in Houston as a vaccine against online computer viruses. 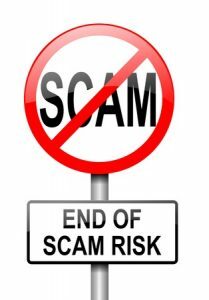 We at HoustonTech are cognizant of all the most prevalent scams, be they of the “phishing,” “ransomware,” “adware,” or “Nigerian Prince” variety. 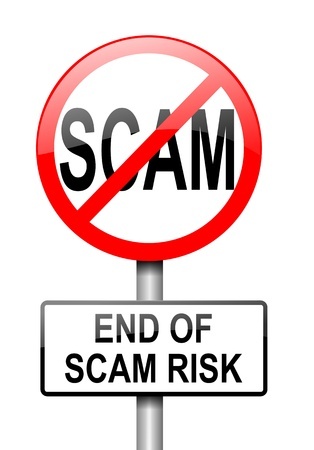 Online scams continuously transition, and we have time to learn them. Contact us today and let’s discuss the best security measures for your business. ← Managed IT Support Business Advice for Houston: Do You Have a Coach?